Despite efforts by oral care brands to encourage consumers to extend their product portfolio, many Europeans do not follow a regular brushing routine as frequently as professionals would advise. Yet, across the region there has been a robust increase in sales, suggesting there is plenty of room for growth. Similar to other beauty markets, growth in oral care in Eastern Europe soared 12.4% to top $2 billion in 2017, according to Euromonitor International. Double-digit growth was recorded across all product categories, including toothpaste and toothbrushes. The more mature Western European oral care market grew 2.8% to $9.6 billion during the same period. Here, dental floss and tooth whiteners posted faster growth than established sectors, such as toothpaste, toothbrushes and mouth fresheners. While Germany, the UK, Italy and France dominate in terms of sales, the fastest-growing markets are in Eastern Europe, with Turkey, Belarus, Ukraine and Georgia, all posting growth of between 7% and 13%. Regular use of charcoal toothpaste removes stains and whiten teeth due to its light abrasive properties. “In the UK, Boots is now offering a wide range of brands such as iWhite, Spotlight Whitening and Mr. Bright which all offer easy and convenient at-home whitening kits and devices,” she says. And yet, Europeans aren’t all that interested in healthy teeth and gums, according to Mintel research. For example, in the UK, just 65% of adults who brush their teeth do so twice a day, while 34% of flossers use dental floss once a day, which runs contrary to professional advice that people should follow an oral care routine twice a day. Furthermore, in France and Germany, 44% and 38%, respectively, agree that it is not necessary to floss daily either. A recent UK study by sonic electric toothbrush Foreo delves further into the reasons why consumers are not adopting more vigorous routines. Nearly a quarter of respondents said they have skipped brushing their teeth because they are simply too tired, while almost a quarter (23%) of Brits have gone two days or more without brushing their teeth. However, it is men who are more likely to neglect their teeth with nearly a third (29%) having forgone brushing, compared to 17% of women. In the UK, electric toothbrush usage is increasing, which McDougall suspects is due to frequent promotions. As a result, manual toothbrush usage continues to decline. Mintel notes that some consumers use more than one type of toothbrush and manual versions are suited for on-the-go use. Increasing demand for bamboo toothbrushes may help reverse the fortunes of the manual toothbrush category. In France, Ma Box à Dents, and in the UK, The Humble Co., offer a subscription service for biodegradable bamboo toothbrushes aimed at consumers who are reviewing their usage behavior to prevent plastic pollution. 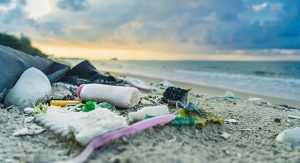 Furthermore, GlobalData believes that plastic-free products are well positioned to appeal to consumers in Europe, as 42% of Europeans say that if a product was packaged without any plastic, they would buy more of the product or buy it more often.